There was plenty to love about all the new ships that launched in 2018. From delicious meals to amazing entertainment, Cruise Critic's members said great things about last year's new vessels. But not everything got a thumbs-up, and reviewers were not shy about giving their opinions. 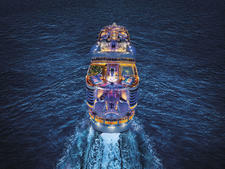 Here's what your fellow cruisers said they loved -- and hated -- ship by ship. Nearly every review of Symphony of the Seas included nods to the great entertainment onboard, but AquaTheater show Hiro got the highest marks over and over again. That's why you don't want to miss out, like some of our unhappy reviewers did, by not booking ahead of time. 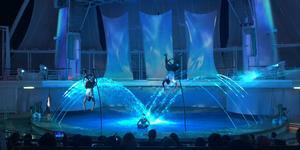 We recommend taking note of Cruise Critic member PrincessWarrior's strategy: "Entertainment was fabulous. 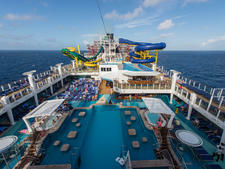 We booked our shows early using cruise planner, and I am glad we had reservations." 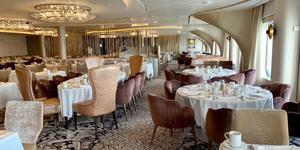 As with all dining, some people loved the ship's different restaurants, while others hated the food. But we read nearly consistent satisfied reviews about Jamie's Italian, including from Cruise Critic member jijoj, who simply said "Jamie's Italian was our favorite, easily." We read multiple reports of how slow and crowded the elevators were. Cruise Critic member okedoak1 summed it up best: "The elevators onboard were always full all the time, and sometimes you had to wait for two or three to get on." While the food on Carnival got mostly lukewarm reviews, Guy's Pig & Anchor was routinely praised, though, as Cruise Critic member eeh127 shows, it's not just the food that's great. "Best bar on the ship is easily the Pig & Anchor. We enjoyed every drink we got there, a nice selection of whiskeys and a killer Bloody Mary. The bbq is delicious, too." 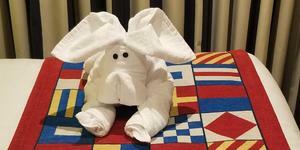 Cabins on Carnival Horizon routinely received call-outs for their size and storage space, but the highest marks came from those staying in one of the ship's two specialty room categories: Havana and Family Harbor. 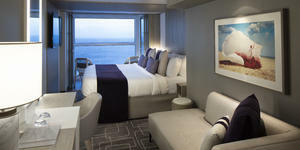 Cruise Critic member plowjockey was among these cruisers: "The room in the Family Harbor was great. Slept our family of four easily. The Family Harbor lounge is not open 24 hours, just during certain times. However, it was nice to eat breakfast there instead of the buffet. No complaints about the room." While most reviewers enjoyed the nightly shows in the Liquid Lounge, whether it was a Playlist Productions song-and-dance revue or a guest hypnotist or musical act, more than a few were unhappy with the main theater's setup, including Cruise Critic member RobertsonCruisoe. "I do wish they would have sloped the lower floor of the main theater (Liquid Lounge), as it is hard to see over people's heads beyond the first three rows." 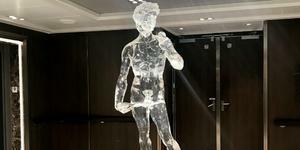 Generally speaking, the entertainment on Norwegian Bliss was reviewed positively, with comedians and the Beatles tribute band in the Cavern Club getting some of the highest marks. But it's "Jersey Boys" that is, hands down, everyone's favorite show. Some reviewers, like Cruise Critic member gwentboy, liked it so much, they saw it twice. 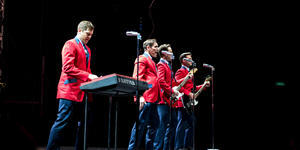 "The highlight of the entertainment was the Broadway version of the hit musical 'Jersey Boys.' ... We enjoyed the show so much that we waited in the standby line the next night." The most well-reviewed space on Norwegian Bliss is the massive Observation Lounge, with a general consensus that it's at its most wonderful during Alaska sailings. Even in the Caribbean, all agreed it was an oasis of quiet on the busy ship. 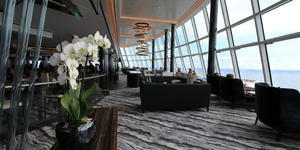 Cruise Critic member vicartgray was one such reviewer: "Definitely check out the observation deck. Great views and relaxing atmosphere. Great loungers, chairs and couches. Snacks, coffee, juices are always available." We came across just a handful of reviews with positive comments about the Norwegian Bliss pool deck. Almost without fail, every reviewer mentioned how few chairs there were, how rampant chair hogging was and how frustrating they found the entire experience. 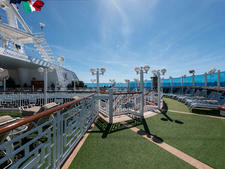 Cruise Critic member Michael730's comment was pretty par for the course: "Forget finding a lounge chair after 8 a.m.! It was crazy! Some days we would circle the ship for an hour before we would find something, and there was only two of us!" We didn't read a bad word about the main dining on Celebrity Edge. 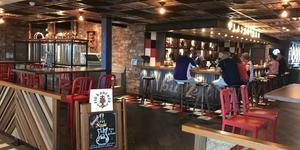 Cruisers, like Cruise Critic member NavalAviator, loved having a choice of four smaller venues to try. "We had Select Dining, and the diversity of the four main dining rooms made dining more enjoyable than ever. 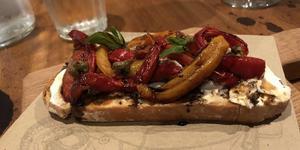 The differing decor and ambiance of each restaurant was a nice change each evening." Despite the debate over the Eden Lounge, there's really no aspect of Celebrity Edge that is as controversial as the line's Infinite Verandas. Some cruisers, like member Spif Barwunkel, like the new setup, which sees the balcony brought into the cabin and replaces the always-open outer part with a window that opens and closes. Bi-fold doors allow the space to be closed off to create a balcony-style feel or opened up for a sunroom extension. "Our cabin was an Infinite Veranda or IV. Loved it. The concept is very different from the traditional balcony, but very logical in its intent. During inclement weather, you can still sit on your veranda and look at the ocean, port or ship next to you. The top window is locked out during those times, but your balcony is still accessible ... nice." Despite some reviews praising these faux balcony rooms, the majority of reviewers have little nice to say about them. Cruisers felt misled by the name, disappointed in the size and frustrated by a lack of control over the window, and many cited the rooms as specific reasons they'd never sail the ship again. One such reviewer is Cruise Critic member retiredtraveller48 who summed it all up. "Not fans of the Infinite Veranda cabin and would never book it again. It seemed to us as an oceanview cabin that has an opening window. The cabin is narrow, somewhat small and just feels claustrophobic. The 'veranda' is roughly 4 by 7 and is virtually useless. It's really just part of the cabin. And speaking of the window, it can be locked by the bridge and was frequently locked at odd times. It was frequently locked while in port! No window washing happening, no rain -- just a decision to lock the window." 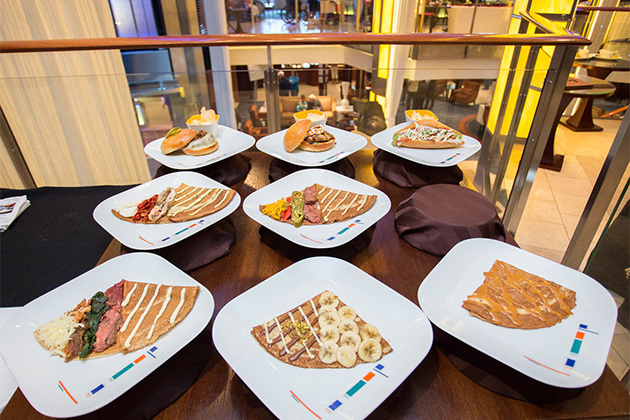 While there are fewer reviews of Nieuw Statendam than last year's other new ships -- it was the last to launch, after all -- what's already clear is how much people are loving all the food onboard. 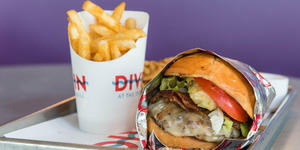 We've seen more call-outs regarding Dive In Burgers -- specifically the fries -- than any other venue. Cruise Critic member bandit 1047 needed seven exclamation marks to make his point. "The French Fries out by the pool at the 'Dive-In' are AMAZING!!!!!!!" Past cruisers on Nieuw Statendam also couldn't get enough of the artwork, with some people -- like member fourstar -- saying it made seeking out the staircases worth every bit of effort. "Artwork is everywhere so made stair climbing interesting, as on every floor there was amazing modern art." One theme that cropped up several times in reviews was a lack of activity outside of the ship's musical offerings. We read about more than one boring sea day. 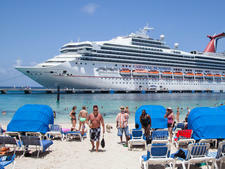 Cruise Critic member Nagdaramy did try to make the best of it: "All the activities were low key and not that exciting. You might feel a little bored during sea days, or you can say you might feel like you have your own private cruise."